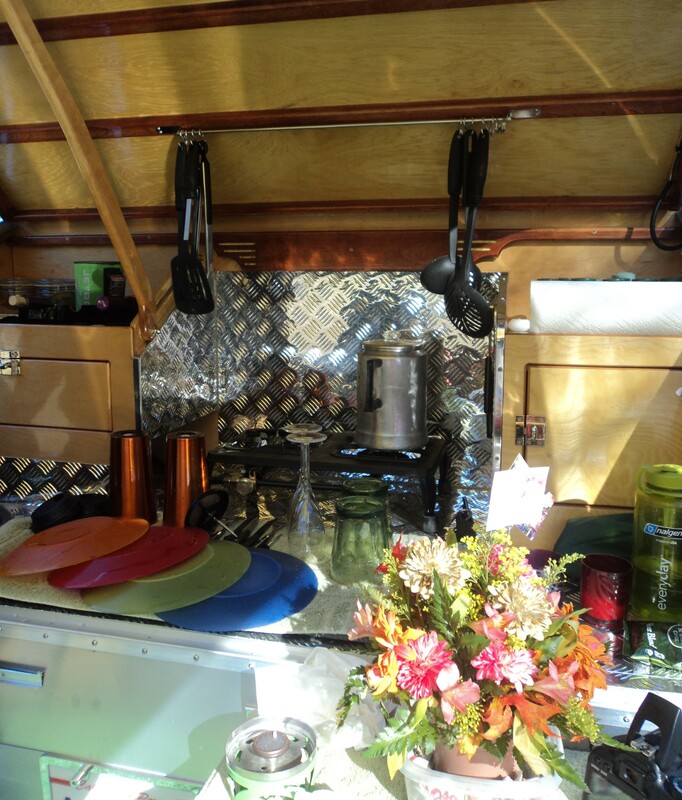 We built our teardrop trailer in 2011, from the tip of her trailer hitch to the top of her roof racks! 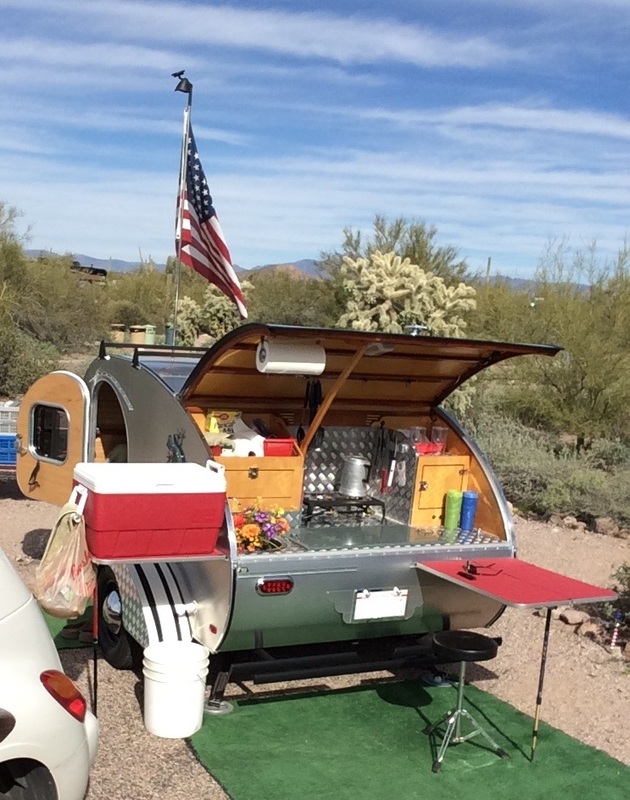 She was inspired by the first teardrop trailer we ever saw–a used Camp-Inn brand trailer. 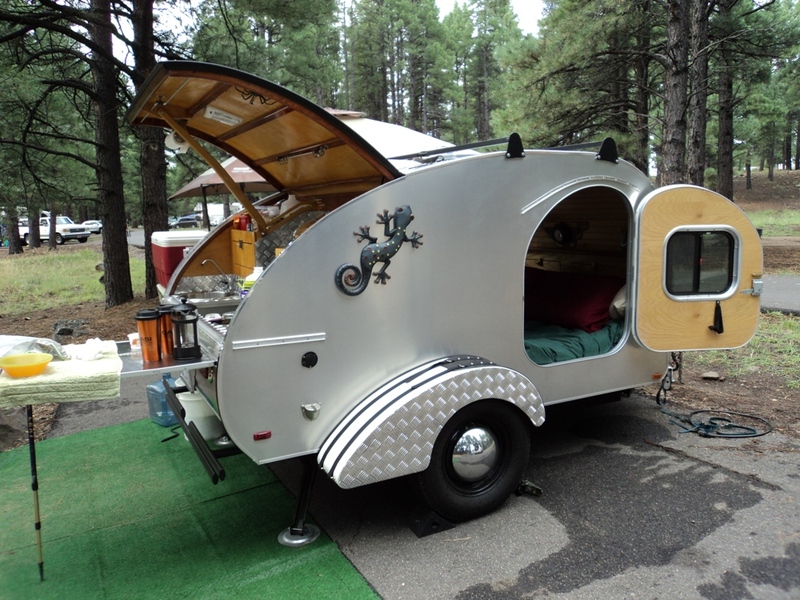 We built her (Building Our Teardrop Trailer From Scratch: Learning by Doing) before we saw all the amazing variations of teardrops there are nowadays . . . old and new. Still, we love her for the custom trailer she is and for the mere fact we never built such a thing before, but we embarked on the challenge anyway . . . together. We built her without plans. We built her with only a picture to go by. We built her loosely on what we saw, but specifically on what we wanted in her, from her. And we couldn’t be happier! We love her and hope you do too! 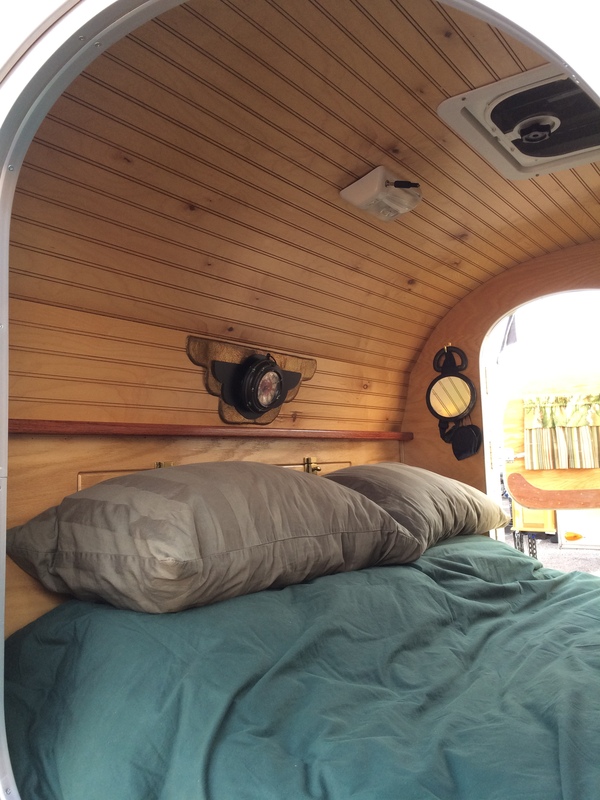 Foot-bed area of our home-built, custom teardrop trailer. 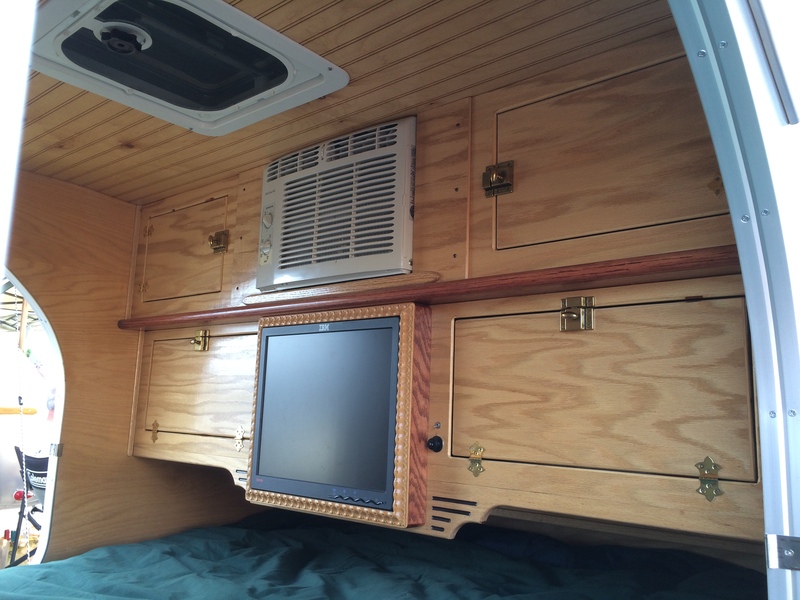 Headboard area of our home-built, custom teardrop trailer. 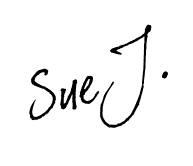 (email option, WordPress user option, TWITTER). Next Next post: Happy Mother’s Day, Mother Nature! Enjoyed meeting you this week. 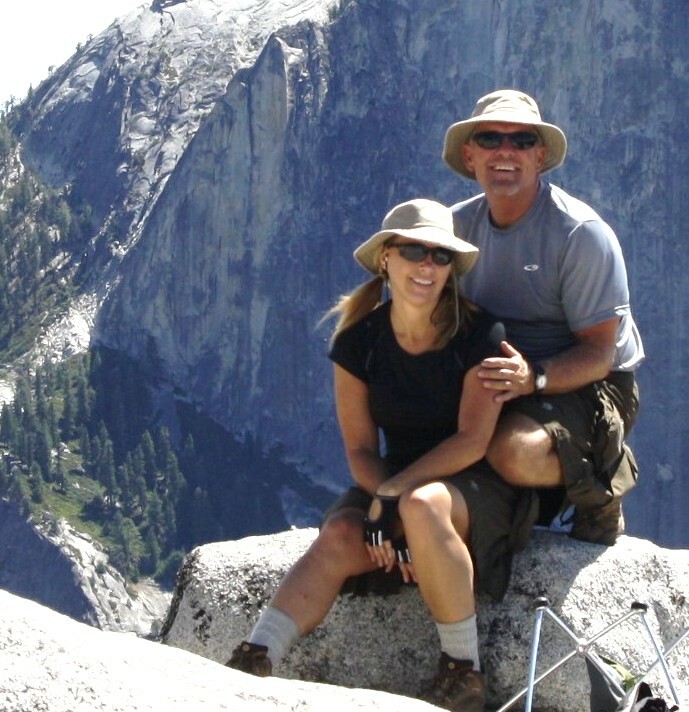 It is nice to visit with folks about the great outdoors. I will send you some pictures when we are close to being finished. Glad you had a chance to stop by here. Was a pleasure meeting you as well. Can’t wait to see pictures of your project, and more importantly, hear about the adventures in your new trailer. Happy trails!